The 20th century has seen a revolution in our attitudes to mental problems. A hundred years ago children and adults with mental health problems were often abandoned in institutions where little or no treatment was available. People had little idea of how the mind worked or why some people suffered from mental problems. Many still believed that madness was the work of evil spirits, or that unconventional behaviour that would barely raise an eyebrow today was a symptom of insanity. The fact that we have a better understanding today, and that there is a range of treatments and strategies for dealing with these problems, is largely due to the pioneering work of a remarkable man, Sigmund Freud. Freud showed us that the human mind is like an iceberg – our conscious mind is only visible tip, with the unconscious mind below the surface, exerting a hidden influence on our thoughts and actions. Freud believed that dreams, slips of the tongue and unconscious actions, such as fidgeting, are all messages from the subconscious. He emphasised the importance of childhood experiences in creating our personalities, and the commonness of much human behaviour hitherto regarded as abnormal. He based his theories on the human mind on observation of his patients. His work created a considerable stir. For one thing his revelations about the hidden emotions, wishes and thoughts that influence human behaviour opened up valuable new insights into human personality. Secondly, in a prudish era, Freud’s insistence on the powerful influence of sexual feelings throughout human life was both shocking and attractive to the general public. Although some of Freud’s ideas have been superceded, many have become part of our everyday thinking about personality, and his was the first step towards a better understanding of the human mind and it problems. Freud was the first to suggest a “talking cure”, encouraging patients to talk about their difficulties and experiences, uncovering memories and feelings that have played a part in causing the mental condition affecting them. Freud called this process “psycho-analysis”, and it has influenced generations of psychiatrists, counsellors and therapists. If after this survey of the nature of illusions and delusions, we turn again to religious doctrines, we may reiterate that they are all illusions, they do not admit of proof, and no one can be compelled to consider them true or to believe in them. They are improbable, incompatible with everything we have laboriously discovered about the reality of the world … In the long run, nothing can withstand reason and experience, and the contradiction religion offers to both is only too palpable. 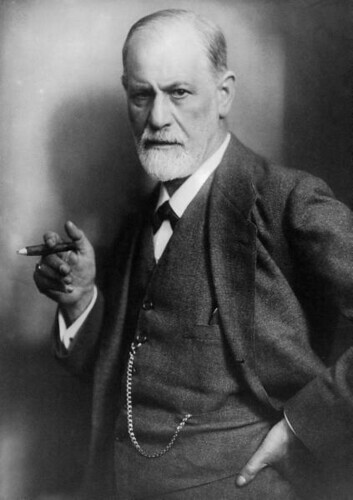 Sigmund Freud was one of the many distinguished people forced to flee from Nazi Germany. He found refuge in the United Kingdom in 1938. The house where he lived in Hampstead in NW London is now the Freud Museum. 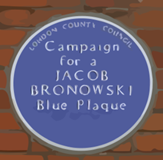 He became an Honorary Associate of the Rationalist Press Association which published a magazine and books on Humanism and associated subjects.